RBI Assistant Admit Card 2019– RBI will release the call letter of RBI Assistant 2019 in the month of November 2019. The online preliminary examination is likely to be held in November 2019. 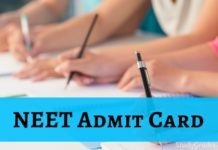 The admit card is a necessary document that every candidate must bring while appearing in the exam. The RBI Assistant 2019 admit card contains the details of the exam such as date, time and venue of the exam. The RBI Assistant Call Letter will be issued on the official website of the RBI. All the applicants have to download their RBI Assistant admit card via online mode only. 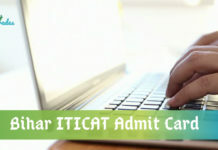 Intimation of uploading the call letter will be sent to the registered email-id or phone number of the candidates. Candidates will need their Registration Number and Date of Birth to download the admit card. We will host the direct link to download the RBI Assistant Prelims Admit Card 2019 on this page after its official release. For more details, read the provided information. 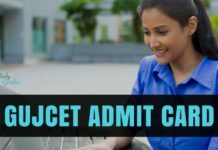 The expected admit card release date will fall in the month of November 2019. All the applicants whose application forms are accepted will be able to download the RBI Assistant Prelims 2019 Admit Card by entering their registration number and password/ date of birth in the provided space. Candidates who will qualify the preliminary examination will be able to download the RBI Assistant Main 2019 Admit Card 01 week prior to the examination. 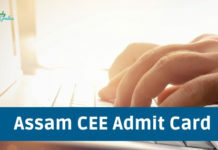 It is expected that the main admit card will be released online in the month of December 2019. How to download the RBI Assistant Call Letter 2019? On the home page, the link of “RBI Assistant Admit Card 2019” will be appeared, click the same. Candidates are advised to verify the details, mentioned on the admit card of RBI Assistant 2019. If any incorrect or misprinting error is encountered, then contact the officials as early as possible. Candidates may note that along with the RBI Assistant 2019 call letter, candidates have to bring a valid identification proof that can be either a Driving license, or Passport, or PAN Card, or Voter ID, Employee identification card, and more. ID card must contain candidate’s photograph as verification. Stay Connected with StudyGrades for Latest Updates on RBI Assistant Admit Card 2019..! !